Here’s what’s happening in the world of television for Thursday, January 31. All times are Eastern. Brooklyn Nine-Nine (NBC, 9 p.m.): Last week’s Nine-Nine was a big one for the human form of the 100 emoji. At the end of “The Tattler,” Gina (with an assist from BFF Jake Peralta) realized something huge: It’s time for her to move on. That’s something she has in common with the actor behind this force of pure chaos, Chelsea Peretti. 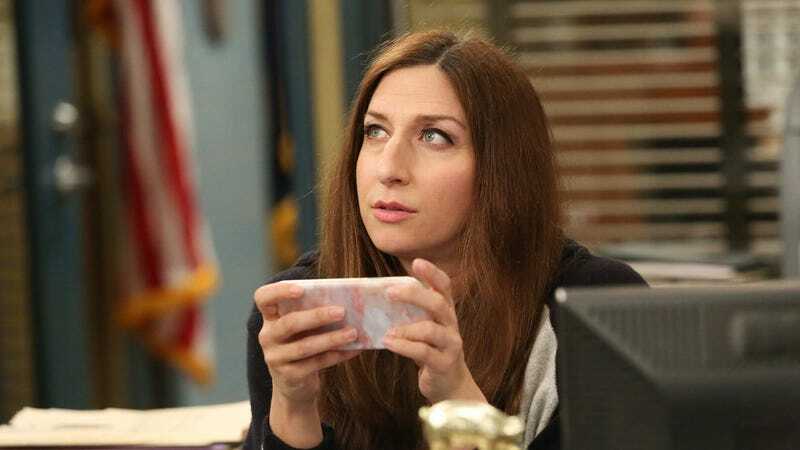 Peretti announced back in October that she wouldn’t be doing a full season of the series this year. That doesn’t mean she won’t be back! But it does make it a lot less likely that any given episode of the Nine-Nine will contain gems of this particular strain of madness. Make yourself a Sloppy Jessica and enjoy this one. LaToya Ferguson will be on hand to raise a glass to the Paris of people in her recap. Will & Grace (NBC, 9:30 p.m.): Will & Grace returns tonight, and while we haven’t always been fully on board with this reunion, there’s little we can do to resist the idea of Karen (Megan Mullally) accidentally taking hallucinogens and giving, per NBC, “her last performance” as Mrs. Stanley Walker.” Mullally is always good, but the weirder things get, the more we’re on board.